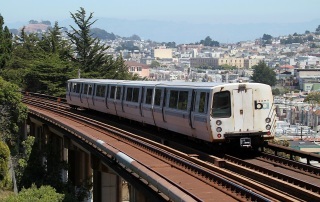 Rescue crews rushed to the North Berkeley BART station Sunday on reports of a male trapped underneath a train, according to BART and the Berkeley Fire Department. The male was conscious and alert, Berkeley fire officials said, but the extent of his injuries were unknown. Trains were not stopping at the station for about 90 minutes, BART said. The station reopened a little after 1 p.m.